There are special considerations when it comes to youth training. A certification in Youth Fitness Training allows you to take a role in helping to combat rising obesity rates and helps parents and coaches assist with keeping today’s youth physically active. Youth fitness couldn’t be any more important, as it assists with motor development, positive self-esteem, improved muscle strength and endurance. According to recent studies, it may even help to boost school performance and I.Q. In short, youth fitness couldn’t be more vital. Our Youth Fitness Certification Course was designed to address the all-important areas of motor skill development, physiology and more. You’ll learn how to properly integrate physical fitness activities into programs specifically geared towards youth. 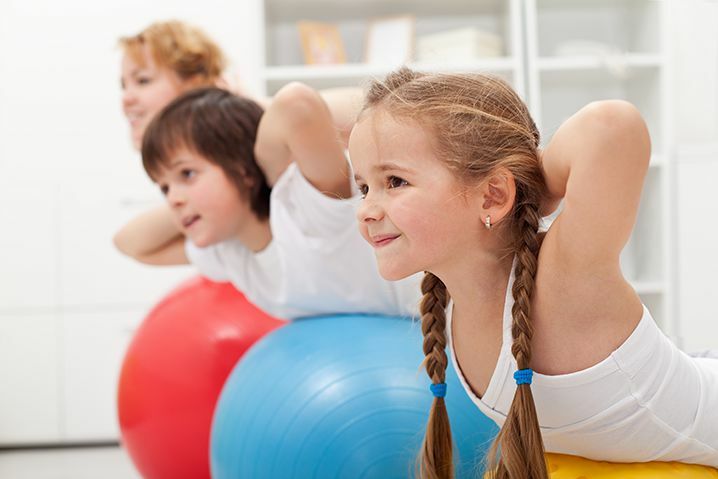 Due to the consider health and fitness challenges faced by today’s children, the field of youth fitness is most definitely a rapidly growing market. Once you have your Youth Fitness Certification, you’ll be able to help your clients get off to a healthy start in life and enjoy a lifetime of fitness. Learn to prevent serious issues, such as type 2 diabetes. This issue is a common problem with overweight children and teens. Through our Youth Fitness Certification Course, we’ll explore the foundations of youth fitness, the Surgeon General’s report on youth fitness and a myriad of effective and timely teaching strategies. Once you’ve completed our detailed Youth Fitness Certification Course, you’ll be ready to instruct fitness at the elementary level. Our course is safety focused and emphasizes games and activities based on the needs and skills of children. You’ll learn ways to help keep children motivated, how to work in larger groups as well as fun, engaging and creative workouts for children based on their preferences. Additionally, your Youth Fitness Certificate will open up opportunities to work with high school and middle school athletes. This course is 100% online and was created by medical professionals. You’ll receive a comprehensive online functional fitness instruction certification and free instant grading. We are leading the way in making life easier for our clients by providing unlimited and unique 100% online practice tests and 24/7 instant certification. You’ll also receive an instant free email certification upon passing your exam as well as 8 valuable continuing education credits.